Welcome to the Third Series of Through a Photographer’s Eye. In this series, we continue to learn about Australian photographers and how they use X Series Cameras to photograph their world around them. Our seventh interview in Series Three is with hobbyist photographer, Geoff Marshall. Geoff, can you tell us a bit about yourself and how you got started in photography? I am a hobbyist photographer and have been since 1979, back in the days of 35mm film and before digital. I enjoy photography very much and rather than shooting one genre I tend to shoot anything and everything. I started out with a Zenit 35mm film SLR but quickly moved onto the Olympus OM system. In 2000, I ditched all the Olympus gear to get into digital and purchased, of all things, a Sony Cybershot. I fortunately saw the error of my ways and in 2005 bought into the Nikon DSLR system. I always hankered after a smaller camera and tried out a number of compact cameras but none really did it for me. In January 2012 I purchased a Fujifilm X- E1 with the XF18-55mmF2.8-4 kit lens to see if this system was a viable option for me. I was blown away by the output of the files and that little kit lens attached to such a small body. On your website, you showcase a selection of images taken from a range of Fujinon lenses. What’s your favourite photo you have taken and can you tell us the story behind the image? That’s not a fair question! With getting on for 40K images shot with the Fujifilm X Series how can one choose a favourite photo? I guess this image, it was taken during a trip back home to the UK. The photo has meaning for me as it was a great holiday albeit in mid-winter, and includes my youngest daughter (foreground) doing ‘touristy’ things in the big smoke of London. 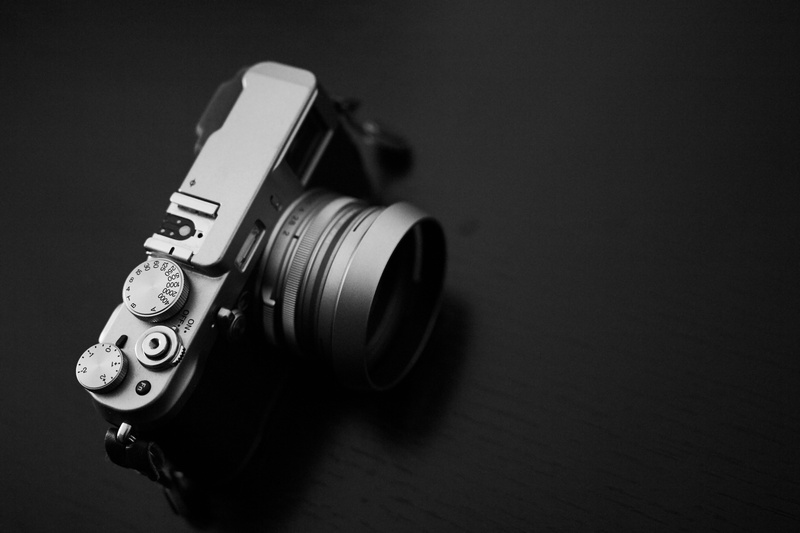 What is it that you most like about Fujifilm X Series equipment? I enjoy everything about the Fujifilm X Series equipment. It suits me very well because of its compact size and of course the file output. I have invested heavily into the X Series and my go-to combination is the X-T1 and the wonderful XF56mmF1.2, my most often used lens. Since switching to the Fujifilm X Series 4 years ago, I am primarily a prime lens shooter, my zooms seldom see the light of day but they should be shown more love for they perform very well. Learn the basics of exposure such as aperture, shutter, ISO and how to use them in combination to achieve desired outcomes. Consider your composition and just get out there and shoot. Analyse your photos, be self-critical and learn from your mistakes (we all make them) and develop a technique that you are happy with and produces results that you like. Don’t try and please everybody with your photographs, that’s an impossible task to achieve, we are all different, what one person likes the next will not. You unfortunately recently experienced an issue with your Fujifilm X- T1. How did you find the repair process in Australia and do you have any thoughts on how Fujifilm can improve this process? The fault with my X -T1 was frustrating, isn’t it always the same with any product we may purchase be it a camera or a car? The fault with the X- T1 occurred while under warranty and was dealt with promptly and professionally by Fujifilm Australia. From my initial enquiry to report the fault with the service team, to the safe return of my camera, the service was second to none. That said I hope I never need to use the service again. Not many photographers may have used the XF60mmF2.4 with an Extension Tube to take macro photos of insects. Do you have any tips you could share that would help someone getting started with Fujifilm equipment for macro photography? I purchased the MCEX 11 extension tube so that I could get closer to 1:1 reproduction with my macro work. Although this can be achieved, the depth of field is reduced significantly and therefore you need to be careful with your point of focus or the impact of the shot will be lost. When photographing insects (crawling or flying bugs) I don’t use a tripod as they move too quickly (apart from snails, but they aren’t insects!). However, I do use a tripod for static subjects such as fungi. The number one attribute needed for macro photography, in my opinion, is patience. You also need to learn to slow down, a bush walk that would normally take an hour to complete could easily take me 4 hours as I’m looking for the small details. Oh yeah, one last thing, be prepared to get dirty and to have passers-by look at you strangely as you crawl around on the floor to get the shot! Have you ever experience a lull in your creative passion? How did you overcome it to keep taking photos? I think all photographers go through a creativity block from time to time. It’s a challenge to make your images different, to stand out from the plethora of other images being produced by other photographers, after all most people have a convenient camera with them at all times due to the mobile phone technology we have available to us, collectively we must be taking millions of images on a daily basis. Recently I have purchased two books for moments when I get a creativity block, both provide challenges and ideas to kick start the creativity process, ‘The Photographers Play book’ (Fulford & Halpern) and ‘Use This If You Want To Take Great Photographs, A photo journal’ (Carroll). What sort of processing workflow do your photos experience and do you prefer to shoot in RAW or Jpeg? I shoot exclusively in RAW, legacy from DSLR days I suppose. Many users of the Fujifilm X system rave about the JPEG output and I have used JPEG + RAW settings but I always gravitate toward the RAW files. I use Adobe Lightroom CC for all my processing needs (and cataloguing) and occasionally use the NIK Silver Effex program for processing to monochrome. To see more of Geoff’s photography visit his blog and website.